Prior authorization is the talk of the healthcare industry since the increase in specializations in healthcare. Any healthcare process has its own pros and cons. Prior authorization is no exception to that. A Health Insurance Company must verify if the patient is eligible for an insurance for a certain drug or procedure. Before the physician prescribes it to the patient, it is a common practice to parallely check for authorization from an insurance company. The physician recommends a lab test – A patient visits a physician complaining of leg pain. The physician suggests the patient get an X-ray to know what is causing the pain. The lab receives the order – The lab receives the request for the test and initiates the process of prior authorization. Insurance agents review Prior Authorization – Lastly, the insurance agent reviews and validates the documents sent as a part of the PA process. Physicians say that the overall process takes 30-45 minutes for each PA submission. It further revealed that when the time is converted to dollars, practices spent an average of $68,274 per physician per year interacting with health plans. This equates to $23 billion and $31 billion annually! Prior authorization ultimately ends up costing the health care system more than it saves. 3. Patient delay – The real impact of PA is often felt by patients whose treatment is delayed. Nearly all physicians noted that wait times increased the delays in necessary care, which added to the risk of adverse events. According to AMA, a PA decision takes at least one business day for 64% of physicians and 3 or more business days for the rest. During this time, patients are unable to start treatment. These long wait times have a negative impact on patient experience and patient care. 4. Management of Prior Authorization – The management of PA can sometimes be difficult to manage. This is because the requirements can vary widely from one insurer to another. Each one has a different process for submitting prior authorization requests. The process cannot be standardized at times and must be done manually. This will of drain resources and time if this is already limited. How can the Insurance Prior Authorization process be improved? Healthcare Insurance Prior Authorization is a necessary step in many practices. But the current process is all too often manual and involves a cumbersome workflow. It may result in delays in treatment and dissatisfaction for patients and medical practitioners. As a result, many are implementing electronic prior authorization solutions to address common issues with the approvals process. HealthViewX Referral Management solution makes the referral workflow easy for the practices. It has the following features that make the process of Prior Authorization simpler. EMR/EHR integration – Our System integrates directly with electronic health records (EHRs). This enables healthcare professionals to easily obtain prior authorizations in real time at the point of care. It also eliminates time-consuming paper forms, faxes, and phone calls. Timeline View – Both the center and the PCP can view the timeline data of the patient in which the referral history is present. Documents and notes can be attached anytime for one another’s reference. To and fro Communication – At any time of the referral process, the PCP and the center can communicate with the help of the inbuilt secure messaging and voice call applications. Referral Data Consolidation – It has options for printing the consolidated data about the referrals and the referral history of any patient as a hard copy at any time in pdf/excel. Secure Data Management – HealthViewX Patient Referral Management is HIPAA compliant. It manages all patient-related documents securely. Referral Analytics – Helps in tracking the number of referrals and gives complete information about the referrals processed, missed, scheduled etc with the help of a Referral Data-centric Dashboard. HealthViewX Patient Referral Management solution helps practices in managing their prior authorization process and saves their time and money. Are you a practice looking to ease your prior authorization process? To know about HealthViewX Patient Referral Management System in detail schedule a demo with our team. How can the Insurance Prior Authorization process be improved? Healthcare Insurance Prior Authorization is a necessary step in many practices. But the current process is all too often manual and involves a cumbersome workflow. It may result in delays in treatment and dissatisfaction for patients and medical practitioners. As a result, many are implementing electronic prior authorization solutions to address common issues with the approvals process. HealthViewX Referral Management solution makes the referral workflow easy for the practices. It has the following features that make the process of Prior Authorization simpler. EMR/EHR integration - Our System integrates directly with electronic health records (EHRs). This enables healthcare professionals to easily obtain prior authorizations in real time at the point of care. It also eliminates time-consuming paper forms, faxes, and phone calls. Timeline View - Both the center and the PCP can view the timeline data of the patient in which the referral history is present. Documents and notes can be attached anytime for one another’s reference. 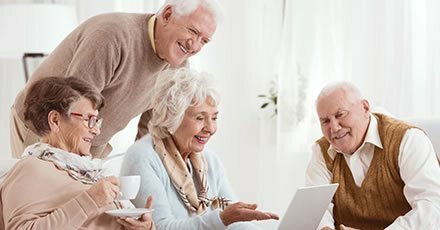 To and fro Communication - At any time of the referral process, the PCP and the center can communicate with the help of the inbuilt secure messaging and voice call applications. Referral Data Consolidation - It has options for printing the consolidated data about the referrals and the referral history of any patient as a hard copy at any time in pdf/excel. Secure Data Management - HealthViewX Patient Referral Management is HIPAA compliant. It manages all patient-related documents securely. Referral Analytics - Helps in tracking the number of referrals and gives complete information about the referrals processed, missed, scheduled etc with the help of a Referral Data-centric Dashboard. This entry was posted in blog, Referral Management and tagged medical referral, medical referrals, medicare, physician, referral, referral management, referrals on December 5, 2018 by Helena Nancy.